Matthew's Community Drumming was created by Matthew Broad to help foster love, listening, and community through drumming and to create a sense of cooperation with all who participate in the drum circle experience. Matthew Broad, a founder of the Vermont-based Everyone's Drumming, has been teaching hand drumming for over 23 years. Matthew facilitates community drum circles in schools, churches, malls, community and retreat centers, as well as libraries throughout the Northeast. He also leads corporate team-building events. Regardless of age or prior experience (or lack of), Matthew has a unique ability to teach a group of people how to create ensemble-style drumming in a very short period of time. In addition, he is excited about sharing the (newly documented) wellness aspects of hand drumming. Bringing people together in a non-judgmental and inclusive environment is Matthew's passion. Up Coming Classes, Events, and Community Drum Circles, No experience necessary, all drums are supplied. 501 Guard Hill Road Bedford NY 10506. No experience necessary. Drums are supplied. Limited to 20 people. Register by phone by calling 914-218-3113 (Britney). No experience necessary. All drums are supplied. Patricia H : "what a deeply and profound evening of community and connection." Melissa B : "I look forward to drumming every week. It makes me feel relaxed and happy to learn something new and create something with my hands. I enjoy the company of everyone in the group immensely. Matthew is a terrific teacher and just a wonderful human being. Making music with other people is something that always feels right to me on a visceral level, and this is a lovely group of people to laugh, learn and be with." Vicki H : "I consistently "attempted" to learn various instruments as a child; with very little success....Music is a strong passion in my life. Matthew, through his caring and generous support as a teacher, drew my confidence level, through his drumming lessons, to achieve that goal." Barry M : "I enjoy our Thursday night drumming group so much. I enjoy learning the different parts of the polyrhythms and how they play off each other. I enjoy the unity of the group when we're all in sync and doing our parts and keeping a steady rhythm." 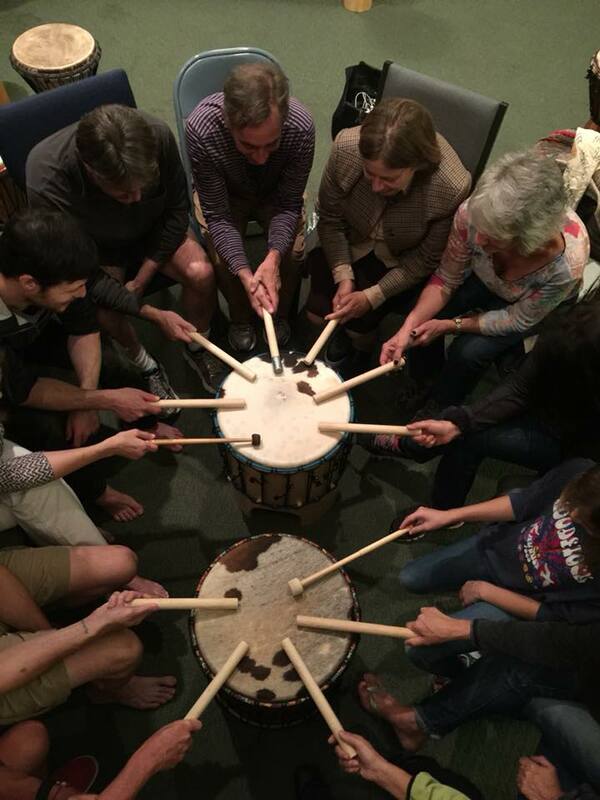 Lars F : "I love the Katonah drummers drum class that takes place on Thursday nights. What keeps me coming back is the wonderful learning and teaching by Matthew, and also very importantly, the sense of community and fellowship, joy and laughter that takes place during each class." Ana SB : "I love being able to participate in something with my daughter. It is a fantastic group of people that I would probably have never met otherwise and it’s always a blast. With everything going on the world today it’s nice to disconnect and be reminded to be grateful for what we do have. I leave feeling positive and look forward to the following weeks gathering. 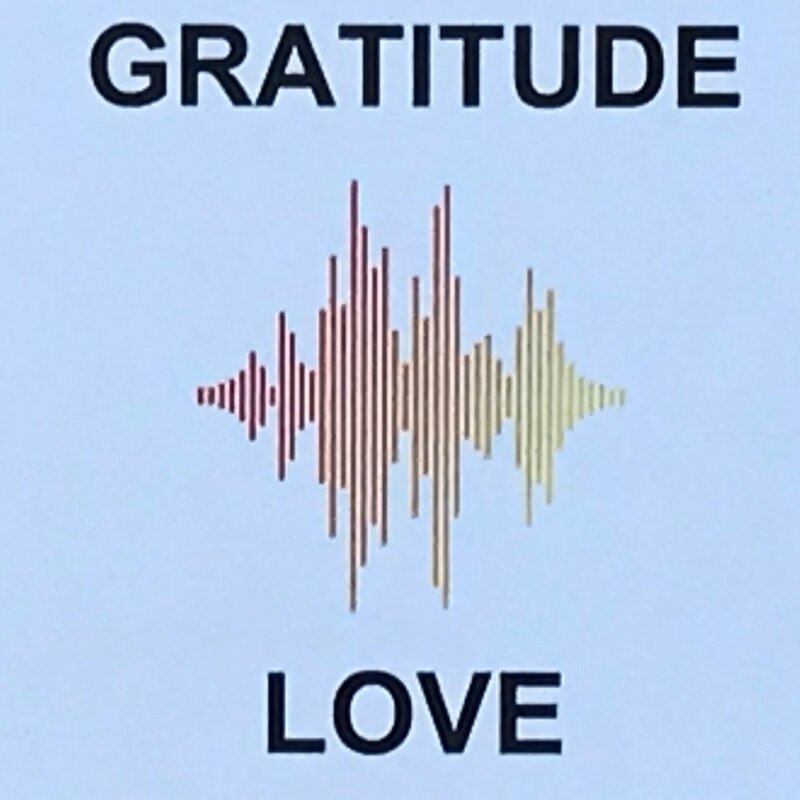 Ana and I both really like the “gratitude drumming” exercise…." Little Ana SB : "I just love it! Especially when the cowbell is incorporated into the rhythm." Joining with Janet Schuman, certified yoga instructor. Together we create a healing class and workshop that is a one of a kind experience. The melodic rhythmic sound of the drum during a yoga class makes for a focused present class that feels good for all who attend.